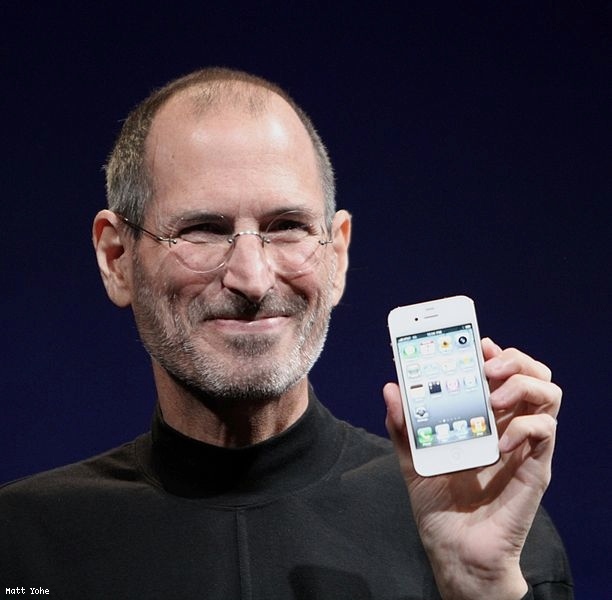 Steve Jobs died today after a long battle with cancer. He was 56. Founding NeXT would have been enough to turn anyone into a cult hero in his field. Acquiring Lucasfilm’s Graphics Group and turning it into Pixar would have made anyone a respected business leader. But for Steve Jobs, those were feathers in his cap called Apple, the company he co-founded with Steve Wozniak, and then later saved from extinction by returning to lead it again. He led Apple to its point today as the most valuable corporation in America, measured by public market capitalization. To do that, Jobs had to beat Microsoft and he had to beat IBM. He won in the end. Far from just a visionary, people from Apple have always said he was a hands-on leader, who had a personal stake in the success of the company and of the products he helped create. Apple ][. Macintosh. NextStep. iMac. MacOS X. iPod. iPhone. iPad. Jobs leaves behind an incredible legacy, and his death will be felt by his industry, and the world. RIP. Sunlight wishes it had Jobs’s attention to detail. Their Enforcement Actions database is suffering from integer overflow as it mis-reports anything over about 2 billion dollars in fines. According to Free Press, Prepaid Wireless Internet doesn’t really count as competition because, well, it’s inconvenient to the cause of claiming there is no competition. Copyright enforcement is out of control. Even as Barack Obama signs ACTA, the treaty that aims to spread the Digital Millennium Copyright Act and more to the rest of the world, In California we are now subject to warrantless copyright raids by the government. Isn’t that special? By the way, Public Knowledge can’t make up its mind. The Soros-funded group opposes ACTA, which only exports laws that already exist in America, but favor actual government expansion at home. Hmm. Typical of OSI-funded initiatives to promote liberty abroad and big government in America. When Apple censors apps, the outrage is palpable. But when Google censors apps, they get a pass, it seems. The FCC continues to be an opponent of innovation and freedom in the marketplace as it seeks to put spy, er, GPS chips in all phones by government dictate. There is no legitimate reason for government to demand that. It’s hard to laugh at insane European regulation when the Obama socialists are just as bad as the Brussels socialists. And yes, the FCC’s run by socialists. That’s why they want to tax your Internet in order to pay for the Internet of others. That’s what “Universal Service Fund reform” has been code for all along, just as I warned. For some information on the LightSquared/GPS dispute from the other side, visit GPS World, which you can tell by its name has a particular focus. Patent trolls now claim to own WiFi, a threat to small businesses across America. Stop the madness! Why are Richard Blumenthal, Al Franken, and Sheldon Whitehouse seeking to ban binding arbitration for wireless contracts? Is it because the ABA has been shedding jobs lately and lawyers need more work?